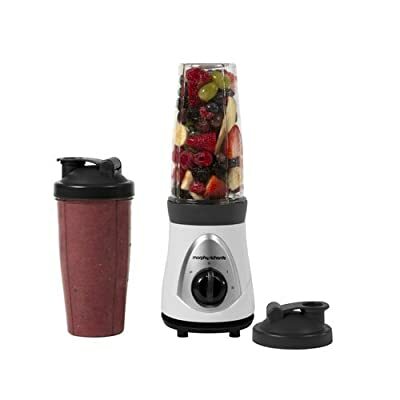 The Easy Blend and Juice from Morphy Richards provides a quick and easy way to enjoy delicious drinks at home and on the go. :uk: Welcome to the UK and Global Huel Forum - Before you post, has your question already been answered? Have you thought about a larger capacity jug blender and then pouring it into any bottle or shaker you like? That’s what I do. I can fill two Huel shakers with one blending. Here is my opinion - go big and not too cheap. My blender can hold over 1.5l which is perfect to make a jug full including ice. I prefer glass too. In terms of cost I think it’s cheaper in the long run to spend a bit more upfront, mine wasn’t expensive but not cheap, it’s lasted over 10 years so cost per use is tiny. Thanks for the advice, I had been considering a jug blender but the bottle blenders were attractive as it’d minimise the amount of washing up, no room for a dishwasher unfortunately I guess making up 2 batches would be good but I had planned on using Huel as just one meal a day at the moment and I understand that Huel keeps for 24 hours once mixed which might be a bit tight If I’m mixing a batch one evening to drink the next evening. I’m still using my cheap-as-chips 1.5L plastic jug blender. TOP TIP, put the water in first. I make a double batch for me which is about 1100ml of water then 250g or Huel on top. Blend it for a min. I’ll put any flavours I want in at that point (so far I’ve done Maple Syrup, Orgeat, vanilla.) that comes out nice and smooth. I pour it out into 2 shaker bottles then top them up with water/ice. I usually make it the night before for the following day so it’s had a chance to sit and thicken up in the fridge. I’d second Julian’s recommendation of spending a little more on the blender. All the cheap kitchen equipment I have bought needs to be replaced much sooner. For washing up, I’d say a large jug blender and using the shakers as the drinking cups is less bother. After mixing and pouring, I rinse the blender jug and put in hot water and a squirt of washing-up liquid, then put it back on to blend, this cleans the blades and sides, just needs the bubbles rinsing off afterwards. The shakers are easy to clean too, as with the wider neck I can get my hand inside with the sponge, unlike the thinner bottles with the Breville et al. Don’t forget to rinse the bottle/shaker you’re drinking from as soon as it’s empty, as the oaty liquid will set once it dries. I had a Morphy Richards Easy Blend, but then found out that the plastic beakers contain BPA which has caused a certain amount of controversy (particularly if you’re also going to blend anything hot in there). 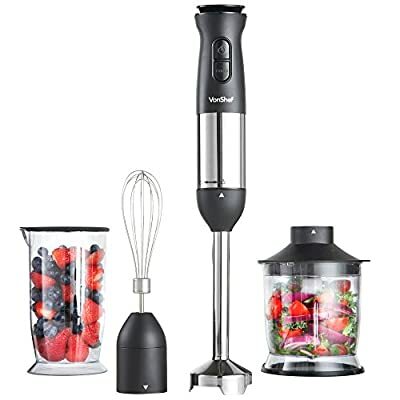 I opted instead for a Tefal Blendforce Glass blender. With that I tend to make 2 portions of Huel in one go in the evening and stick them in the fridge for the next day. It’s also easy to clean and so far seems pretty robust. I paid less than £50 for it (Argos I think). Thanks for all the replies everyone, in the end I bought a cheap jug blender by Phlips, mostly because I’m not the sort of person to make smoothies or anything else the blender will just be for huel which is still an experiment for me at the moment and given my limited kitchen space if things with huel don’t work out I can just give the cheap blender away, but if things go well I might buy a better blender in 6 months or so. I went with the Breville, which has been great so far and extremely reasonable in price. Very convenient for me, minimises washing up and I have been really impressed with the quality of such a low cost product. Helps that I really like the drinking bottles as well. I find them about the right size. 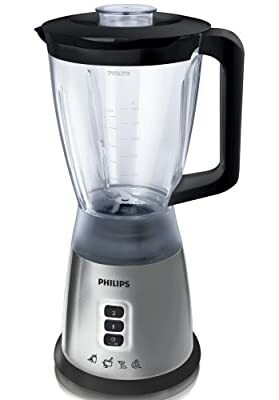 I’ve got that same Philips blender. I mostly second the vote for the Breville. The bottles are made of some special plastic that doesn’t absorb odours or colours. They wash really well and are resistant to breaking. The lids are less robust though. You can buy replacement bottles at £10 each but at that price you may as well get the blender and 2 bottles for £20. The neck of the bottles is a bit narrow so I use a funnel to get the powdered huel in without making a mess. I have a feeling the blender is not meant to outlast the bottles given the price point but my blender has worked almost daily for about a year. And 3 of the 4 of the lids I had are still in operation. I bought a Breville just to use with Huel. I was a joylent user before and didn’t need a blender. I really like the individual bottles, and 600ml is about what my breakfast and dinner will be like. I can prepare 2 at the same time by using two bottles. I currently have 4. Still convenient enough and not a major difference from the easier to prepare but seemingly less healthy Joylent. I use a Nutribullet. I have previously been using it to blend Myprotein vegan blend with a banana, kale, some raw oats and raw cacao. That Myprotein powder was utterly undrinkable just with water and am so pleased to have just tried Huel with water and was quite pleasant. For more of a milkshake type drink I’ll probably mix Huel with a banana and raw cacao, or raw cacao and coffee for variety. I’m guessing I won’t need the kale anymore. I love my Nutribullet and it is minimal washing up. I have been using a Bartec smoothie maker, it is such a brilliant product. I use it on a day to day basis, I have not had any problems with it at all. I highly recommend this product to anyone looking into buying a smoothie maker, it’s fantastic. I have a nutribullet for the house, and the little green breville for travel. I work away 4/5 days a week, so it’s been great for mixing the hurl in my hotel room. I think Huel should make a portable battery operated blender that screws onto the shaker bottle. It can run on normal rechargeable batteries. You know those hand held ones that you can stick into a cup or a pot or whatever and liquidise your soup or the babies food or whatever? I got one that cost only £5. Just a metal stick with a rounded thing at the bottom that houses the metal blades so they don’t cut or damage the container while they spinning. Of course it is plug in electric, but I’m sure it’s possible to have it battery operated. You should look up some motorized blender bottles - e.g. https://www.amazon.com/Promixx-Original-Vortex-Protein-Evolution/dp/B00A9XMNMQ/.